Ordering whiskey – are you doing it right? Do your ears perk up when the guy seated a couple of barstools away from you at your favorite watering hole or someone on the next table at your favorite restaurant is ordering whiskey? Do you cringe at the mistake they just made or do feel like you need to give this guy two thumbs up for ordering whiskey correctly? Your whiskey-drinking has given you much satisfaction. Because of this love for this fire-water drink, you have become a connoisseur, an expert at ordering whiskey. Now you would like to share your knowledge and offer critique or advice on what it is people are doing right, or wrong – mostly, when ordering whiskey. Let’s see how well-versed you are about how your tongue appreciates this drink; it is all about expressing your taste after all when ordering whiskey. If for any reason you don’t feel all that confident about not making any mistakes when ordering whiskey, keep reading. To a lot of adults, the world of whiskey, much like the world of wine, is like taking a journey into the unknown. What quickly rushes through the mind at the mention of the word “whiskey” itself are gentlemen – much older men in their smoking room, puffing their cigars and blowing their smoke. But lately, in recent years, we have witnessed a paradigm shift. A wave of change is in effect not only in the consumers but also on the side of the marketers and whiskey producers. These changes work to the advantage of whiskey because it has elevated this beverage as a more approachable, and versatile spirit in recent times. Moreover, it’s no longer just the senior people who prefer to drink whiskey, but the younger adults have developed a penchant for this fire-spirit beverage and other drinks in this class, and their number is increasing. Unfortunately, because they’re new to this, they are not aware of the best way to thoroughly enjoy their drink, much like how they fall short when it comes to ordering whiskey correctly. A typical scene in a liquor bar. While no rock-solid rules are saying that we can drink whiskey only in a particular way, we often commit certain mistakes when ordering whiskey. In truth, at one point in time, many have been guilty of these mistakes. Now that we have a more diverse group of people that like to drink whiskey, we can say that it is high time that we break down those barriers so we can finally have a great time with our glass of whiskey. Let us admit this one. Placing an order for your whiskey drink in a bar or restaurant can be daunting. It is especially true when you are not used to it, and you are prone to commit some of these mistakes when ordering whiskey. And that sheer appalled look on that busy bartender’s face won’t help in making things easier for you! Avoiding a Potential Brawl With the Bartender! So that you know or perhaps to prevent you from punching the face of any bartender that gives you a version of this appalled look, here are the ten more common mistakes we make when ordering whiskey, or drinking it for that matter. Why not bookmark this post for future situations when you need a reminder? 1. Getting yourself too preoccupied with following other people's rules in drinking whiskey. Following social rules when ordering whiskey – and drinking it, for that matter. This type of mistake when ordering whiskey is the reason we don’t thoroughly enjoy our whiskey drinking experience. We tend to focus so much more on following the “rules” other people give us. Instead of becoming a blind follower, do your own thing. Discover and try different drinking styles. This way you get a chance to identify what works best for you and stick to it. You must try it first. Drink whiskey first, and along the way figure out what works for you. It is the most important thing to keep in mind. Those rules people have, bend it if needed. Whiskey on the rocks is a common mistake when ordering whiskey. It is the most common mistake I hear when someone is ordering whiskey. Some ask to have ice to help neutralize the bite of the alcohol and perhaps what is considered an overwhelming taste to some. But you should only do so when you fully understand how ice can impact whiskey. This way you’ll be more confident in choosing what you want to have with your beverage. Ice will cool down your whiskey. In the process of doing so, it will also dampen its flavors. Should this be the effect you desire for your whiskey drink, you’re free to have it on the rocks anyway. If you want to enjoy your drink, then opt to have it chilled first. Instead of putting ice directly on your whiskey glass, which ruins its flavors, chill it for 5-10 minutes before serving. No ice. It only dries up the character. Another whiskey ordering mistake is to just focus on too old, too aged whiskey. The more aged whiskey is, the higher its quality gets. What seems to be an urban legend, was started by a sundry of articles on the Internet about whiskey, and what makes them taste great. Most self-proclaimed aficionados would say that the older a whiskey gets, the better taste they have. True, but is not always the case. The reason why older whiskey is far more expensive than others is that they are, scarce or harder to find. But it certainly has nothing to do with how it registers on the palate. While the vast majority of older whiskeys have excellent tastes, it does not mean to say that younger whiskeys won’t suit your palate. This line of thinking has been ingrained to us so deep that we qualify it as an unchangeable fact. It is wrong! Moreover, since older whiskeys have spent too much of their time in a cask, that would have stripped them of their vibrancy, which is what you will usually find in younger whiskeys. 4. A great tasting whiskey is always expensive. Many believe expensive whiskey is synonymous to high quality. Another common whiskey ordering mistake is when people equate a high price tag with superb quality. If you have a little background in economics, the price of a commodity tells you something about its availability, too. High demand for a low supply commodity will send its price tag to a spike. On the contrary, weak demand for a product with plenty of available supply will pull down its price. A wise consumer will never opt for an expensive commodity if there is a cheaper, equally good alternative; the same is also true when it comes to whiskey. An expensive whiskey does not automatically mean to say it will suit the taste you want. Younger whiskeys may register better on your palate. Try it out, and see if you prefer the taste. 5. Sticking out with self-limiting knowledge. Diversify your choices for liquor - and avoid committing mistakes when ordering whiskey. Refusing to diversify your preference is a self-limiting choice. Our attitude towards whiskey is much like the same one we have with our food. We tend to order, eat and enjoy what it is we like the most. At the back of our minds, we are hesitant to try out the others. Hence, we qualify them as our favorite. But we must understand that this line of thinking is working to our disadvantage. There are some ways which can help you get out of the rut. Buy some whiskey with your circle of friends. Anticipate that they may have a different preference than yours when it comes to the brand, taste, etc. Know what they like about their choice precisely, and understand the pros and the cons. When you have completely understood these points, it will help in broadening your horizon. An action like that may not match what is customary among your circle of friends. The goal is to give yourself a chance to try out something different, something new. All without having to discard what your personal preference is. 6. Ordering whiskey according to the recommended temperature. Whiskey is at its best in a room temperature. The temperature will affect how your whiskey will register to your palate. It pays well when you follow the instructions as indicated on a product label. The same is true when it comes to whiskey. A great tasting whiskey will have a superb taste if you will have them at their best temperature. If you are not yet aware, the temperature has a crucial role to play in the strong taste of whiskey. Different whiskeys taste differently under different temperatures, so it is best that you know what suits your drink. 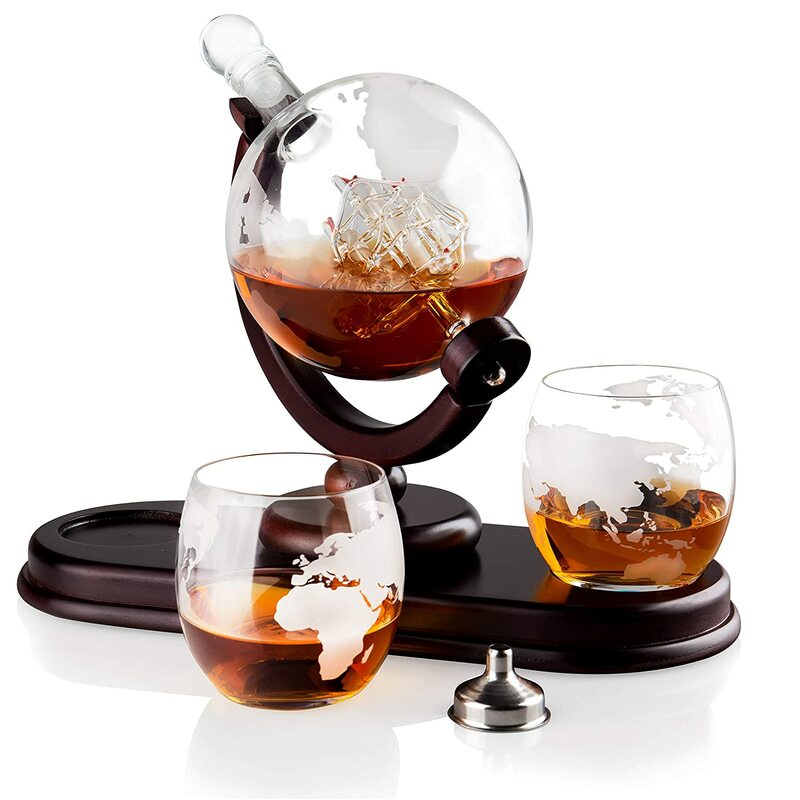 This way you get the most enjoyment out of your whiskey drinking experience. Ask your local bartender. He can advise you on what temperature your particular drink will taste at its best. 7. Drinking neat whiskey, straight and undiluted. Whiskey without ice or water. If you would have it, it is drinking whiskey without ice or water. Although the entertainment (Hollywood, in particular) and television industry has glamourized drinking of whiskey, imbibing it raw and unadulterated straight from its bottle can be dangerous. Whiskey comes from malt and barley. Mix or age them in various combinations, and you’ll come up with different flavors. Drinking neat whiskey, straight from the bottle at room temperature is okay, but like everything else, it should be in moderation. Drinking too much whiskey can cause you to face serious repercussions. Imbibing on raw whiskey sometimes makes you consume too much in a short while. A form of binge drinking? Yes, dangerous – because excessive consumption of whiskey can lead to alcohol poisoning. It occurs when your bloodstream becomes over-saturated with alcohol. You will either experience blacking out or passing out. Too much whiskey in one sitting can also impair your judgement. Hence, you run the risk of making bad, risky, or illogical decisions. Think about drunk driving and vehicular accidents. 8. Ordering whiskey with soda drinks. If you are aiming to have an authentic feel of whiskey in your mouth, don't mix it with any soda. The sugars they contain and all their other flavorings tend to overwhelm the natural flavors of whiskey. Although mixing whiskey with a soda drink is favorite among the younger crowd, it deprives you of an authentic whiskey experience. But did you know there is one particular soda drink produced and intended for this purpose? Mountain Dew is supposed to be a custom mix for whiskey. But if your goal is to drink less of whiskey and more fun time, mixing it with soda is not that wise a move as many might think. A smarter trick here is to make gradual sips only. A 100-proof whiskey goes well with a splash of water, but never soda. Your “watered-down” with soda drink will become acidic because of the carbon dioxide in this go-to mixer. Whiskey and other alcoholic beverage are alkaline; they are not acidic. Mixing whiskey with coke or soda. 9. Ordering whiskey that is water-diluted or in shot glasses. Whiskey's Not a Shot Drink! Obviously, there is a tremendous difference between a few drops of water on your whiskey versus diluting it with water. A seasoned whiskey enthusiast will encourage you to have a few drops of water to your drink. Why? This measure will help open up the flavors of your whiskey, making them prominent when you sip on the liquid. But not just any water, use bottled or distilled water instead, whenever possible. They’ll help preserve the flavors of your whiskey, unlike tap water. Now going beyond a few drops (3-5 at the most) of distilled water means you are diluting your whiskey already. So take caution not to go overboard. Otherwise, you will ruin the spirit of your whiskey. Drinking whiskey sans the ice or water is referred to as “neat whiskey”. It is a term used for most liquors in their untouched, unadulterated state, but jargon to most who don’t frequent bars or liquor stores. In the case of using a shot glass, do it this way, and you run the risk of being intoxicated quickly, in no time. The ideal way to consume whiskey, similar to vodka or wine, is by sipping it. You don’t drink whiskey or serve it in shot glasses. In the American standard, a shot is about 1.5 oz. A fifth of Jack is about 25.6 oz. It means to say if you have a 750 ml bottle of Jack Daniels, it is going to have 17.07 shots. 10. Using the color of whiskey to determine its age. We know that a high-quality whiskey should come in bronze-gold color, right? It acquires its golden-yellowish tint from the wooden cask use in the maturation process. Generally speaking, older whiskeys tend to have darker hue of yellow. If you notice your whiskey has a purplish tint, it’s an indication it was matured either in port or sherry cask. These casks also give them a slightly fruitier taste. Whiskey color does not determine the age of liquor. You could run the risk of being easily duped if you will use the color of your whiskey to determine its age. There are older whiskeys matured in bourbon barrels which have been used three times already. The result is a light golden yellow tint despite their aging. Moreover, some of the more affordable, manufacturers add caramel to younger whiskeys. It helps in giving them the classic whiskey appearance, but the downside of it is that they tend to look darker at times. Adding nothing when ordering whiskey is the best. Some people believe that the best-tasting whiskey is always in its untouched state! They say drinking crude whiskey gives you the most satisfaction, the ultimate whiskey drinking experience. Like how it should be. It is because sans the ice or water in your whiskey glass, consuming it raw gives you the taste of the original distillery characteristics. Moreover, there’s a high chance that it preserved the natural cask flavors used during their maturation. Ordering whiskey to your preference is best. Ultimately, the decision is all yours. Whether you will want to add water or ice to your whiskey glass is up to you. It is your personal choice, your preference. Of course, the occasion with which you are drinking it will count, too. Like for instance, whiskey cocktail or a “whiskey on the rocks” will be ideal on a hot summer’s day. There are no rules to follow; neither a wrong nor a right answer when drinking whiskey. But with the exemption of water and ice on whiskey, keep in mind these common mistakes when ordering whiskey. Making sure you don’t commit the same errors when ordering whiskey that others make will help you to have a more enjoyable and more satisfying whiskey drinking experience. Even though whiskey has had a very tumultuous history (see Whiskey Rebellion), men continued to enjoy this fire-water drink through the passing of ages. Prominent men in history such as Winston Churchill, Mark Twain, and even the legendary actor Clark Gable – all of them appreciated whiskey regularly. To enjoy whiskey, it is essential that you know the basics about the spirit itself. It has something to do with alcohol levels and how to pick the right bottle to buy. For a discriminating taste such as yours, nothing is ever going to beat a fine whiskey. Don’t let any mistake when ordering whiskey get in the way of your enjoyment. It is pure bliss, and you need to know how.